Loni Kaufman from West Fargo, Nd has joined ZLicense to save lives. Mia Brown from Dunwoody , Ga has joined ZLicense to save lives. Latoya Young from Corpus Christi , Tx has joined ZLicense to save lives. Angela Raby from Detroit, Mi has joined ZLicense to save lives. Sayheem Jones from Philadelphia, Pa has joined ZLicense to save lives. Candase Mack-hall from Gibson, Nc has joined ZLicense to save lives. Aquilla Riley-jordan from Broxton, Ga has joined ZLicense to save lives. Carl Mayfield from Fontana , Ca has joined ZLicense to save lives. Renitta Grimes from Humble, Tx has joined ZLicense to save lives. Tahlia Manson from Drexel Hill, Pa has joined ZLicense to save lives. Sonya Still from Covington, Ga has joined ZLicense to save lives. Lorene Brown Watkins from Cherry Hill , Nj has joined ZLicense to save lives. Kim Lewis from Riverdale, Ga has joined ZLicense to save lives. Justin Boatman from Jonesboro, Ga has joined ZLicense to save lives. Antoya Williams from Jacksonville , Fl has joined ZLicense to save lives. Linwood Holder from Staten Island, Ny has joined ZLicense to save lives. Brianna Mackey from Lithonia, Ga has joined ZLicense to save lives. Tia Nichols from Gastonia, Nc has joined ZLicense to save lives. Jerome Washington Iii from San Jose, Ca has joined ZLicense to save lives. Juankir Freeman from Inglewood , Ca has joined ZLicense to save lives. Freddie Arline from Fresno , Tx has joined ZLicense to save lives. Kimberlee Freeman from Decatur, Ga has joined ZLicense to save lives. Rahiib Moody from Wilmington, De has joined ZLicense to save lives. Tonya Barbee from Kenosha, Wi has joined ZLicense to save lives. Tyree Rogers from Baltimore , Md has joined ZLicense to save lives. Neely James from Baltimore, Md has joined ZLicense to save lives. Sharon Kemp from Rosenberg, Tx has joined ZLicense to save lives. Maria Mc Kenzie from Staten Island, Ny has joined ZLicense to save lives. Ostell Hodges Jr from Lithia Springs, Ga has joined ZLicense to save lives. Brian Warren from Atlanta, Ga has joined ZLicense to save lives. Refund Refund from North Las Vegas, Nv has joined ZLicense to save lives. Christopher Woodfork from Houston, Tx has joined ZLicense to save lives. Jason Johnson from Atlanta , Ga has joined ZLicense to save lives. Donald Bonnie from Baytown, Tx has joined ZLicense to save lives. David Copland from Burleson, Tx has joined ZLicense to save lives. Sherri Davy from Boyton Beach, Fl has joined ZLicense to save lives. Damien Collins from Navasota, Tx has joined ZLicense to save lives. Andrew Smith from Concord, Nc has joined ZLicense to save lives. Maria Guerrero from Dallas , Tx has joined ZLicense to save lives. Jason Durham from Hazelwood, Mo has joined ZLicense to save lives. Refund Yoly Tunchez Osorio from Fontana, Ca has joined ZLicense to save lives. Corwin Shorter from Normandy Park, Wa has joined ZLicense to save lives. Evelyn Huff from Houston, Tx has joined ZLicense to save lives. Tiara Corprew from Greenville, Nc has joined ZLicense to save lives. Marc Roberts from Atlanta, Ga has joined ZLicense to save lives. Sean Knobloch from Portland, Or has joined ZLicense to save lives. Nathaniel Thompson from Long Pond, Pa has joined ZLicense to save lives. Brandon Thompson from Claremont, Ca has joined ZLicense to save lives. Susie Arthurs from Waller, Tx has joined ZLicense to save lives. Carla Borskey from Baker, La has joined ZLicense to save lives. Toni Wilson from San Antonio, Texas has joined ZLicense to save lives. Jocelyn Servito from Old Bridge, Nj has joined ZLicense to save lives. Regenia Caines from Sumter, Sc has joined ZLicense to save lives. Brian Johnson from Jackson, Ms has joined ZLicense to save lives. Sherri Rochester from Mauldin, Sc has joined ZLicense to save lives. Barbara Torres from Caldwell, Id has joined ZLicense to save lives. Reginald Mattingly from Harvest, Al has joined ZLicense to save lives. Michelle Witkowski from Main Beach, Queensland has joined ZLicense to save lives. Mariam Jallo from Woodbridge , Va has joined ZLicense to save lives. Kenneth Banks from Boynton Beach , Fl has joined ZLicense to save lives. Tarisha Mccullen from Whiteville , Nc has joined ZLicense to save lives. Soni Njiru from Nairobi, Nairobi has joined ZLicense to save lives. Darrell Sutton from Odessa, Tx has joined ZLicense to save lives. Harold Harvell from Redford, Mi has joined ZLicense to save lives. Andrew Thompson from Canton, Ga has joined ZLicense to save lives. Tabitha Morehead from Browns Summit , Nc has joined ZLicense to save lives. Harold K Hamilton Jr. from Chicago, Il has joined ZLicense to save lives. Devin Small from Baltimore, Md has joined ZLicense to save lives. Kelera Bulai from Cedar Hill, Tx has joined ZLicense to save lives. Tammie Hartfield from Richmond, Tx has joined ZLicense to save lives. Shanelle Whack from Columbia , Sc has joined ZLicense to save lives. Elaine Robinson from Richmond, Tx has joined ZLicense to save lives. Dalmane Lemard from Spanish Town, St. Catherine, has joined ZLicense to save lives. Aalayah Hal from Chicago , Il has joined ZLicense to save lives. Hannah Damman from Sheboygan, Wisconsin has joined ZLicense to save lives. Angel Woods from Conyers, Ga has joined ZLicense to save lives. Charles Lowery from Southfield, Mi has joined ZLicense to save lives. Alecia Walls from Belleville, Mi has joined ZLicense to save lives. Refund Refund from Colon, Mi has joined ZLicense to save lives. Kenna Clay-leach from Fayetteville, Nc has joined ZLicense to save lives. Roberta Pendarvis from Oklahoma City , Ok has joined ZLicense to save lives. Samuel Licorish from Bowie, Md has joined ZLicense to save lives. Princeston Zackary from Decatur , Ga has joined ZLicense to save lives. Charles Milham from Oxford, Fl has joined ZLicense to save lives. 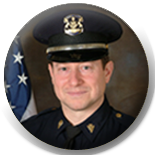 Darren Duson from Liverpool, Ny has joined ZLicense to save lives. Lawrence A Turner from Gary, In has joined ZLicense to save lives. Jesse Hernandez from Spring, Tx has joined ZLicense to save lives. Enoch Simpson from Houston, Tx has joined ZLicense to save lives. Akiel Celestine from Springfield Gardens, Ny has joined ZLicense to save lives. Joy Shaw from Rothwell, Queensland has joined ZLicense to save lives. William Walton from Longview, Tx has joined ZLicense to save lives. Will Owens from Dallas, Tx has joined ZLicense to save lives. Evangela Williams from Charlotte, Nc has joined ZLicense to save lives. Michael Jones from Detroit, Mi has joined ZLicense to save lives. Travis Wolf from Mohave Valley, Az has joined ZLicense to save lives. Chantrice Hintley from Charlotte , Nc has joined ZLicense to save lives. Ratchet Noble from New York, Ny has joined ZLicense to save lives. Audrey Wooten from Hampton, Va has joined ZLicense to save lives. Anthony D Cunningham from Fontana, Ca has joined ZLicense to save lives. Jenilee Santiago from Milledgeville, Ga has joined ZLicense to save lives. Lisa Kim from San Jose, Ca has joined ZLicense to save lives. Mansa Musa from Louisville, Ky has joined ZLicense to save lives. Beverly Gerald from Roosevelt, Ny has joined ZLicense to save lives. Daryl Speaks from Miami Beach, Fl has joined ZLicense to save lives. Lemar Evans from Lithonia, Ga has joined ZLicense to save lives. 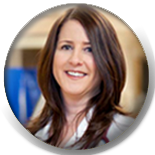 Sheena Robins from Houston, Tx has joined ZLicense to save lives. Alvin Mixon from Westland, Mi has joined ZLicense to save lives. Teresa Perrin from Grayling, Mi has joined ZLicense to save lives. Howard Green from Detroit, Mi has joined ZLicense to save lives. Reginald Lampkin from Cleveland, Oh has joined ZLicense to save lives. Duku Mike Taban from Juba , Central Equatoria has joined ZLicense to save lives. Briggid Makokha from Nairobi, Kenya has joined ZLicense to save lives. Elza Pienaar from Boksburg, has joined ZLicense to save lives. Jermaine Hunter from Tallahassee, Fl has joined ZLicense to save lives. Refund Tannisha Fisher from Harvey, Il has joined ZLicense to save lives. Jose Gonzalez from Farmers Branch, Tx has joined ZLicense to save lives. Refund Refund from Tomball, Tx has joined ZLicense to save lives. Renata Henderson from Philadelphia, Pa has joined ZLicense to save lives. Brianna Brown from Warner Robins, Ga has joined ZLicense to save lives. Sharon Cummings from Durkirk, Ny has joined ZLicense to save lives. Scott Jefferson from Richmond, Tx has joined ZLicense to save lives. Maureen Bobilya from Fort Wayne, In has joined ZLicense to save lives. Michael Smith from Royal Palm Beach, Fl has joined ZLicense to save lives. Maria Willmore from Houston, Texas has joined ZLicense to save lives. Bryan Hill from Desoto, Tx has joined ZLicense to save lives. Alex Hernandez from Apple Valley, Ca has joined ZLicense to save lives. Ginger Avery from Coram, Ny has joined ZLicense to save lives. Zhanya Wrentz from Norwalk, Ct has joined ZLicense to save lives. Nadia Denis from Winter Haven, Fl has joined ZLicense to save lives. Amanda Yawn from Daviston, Al has joined ZLicense to save lives. Nikki Holland from Los Angeles, Ca has joined ZLicense to save lives. Nyzeer Harmon from Jonesboro, Ga has joined ZLicense to save lives. Antonio Seale from Taunton, Ma has joined ZLicense to save lives. Daidry Watson from Lithonia, Ga has joined ZLicense to save lives. Jerry Johnson from Oak Forest , Il has joined ZLicense to save lives. Ronald Flack Jr. from Mc Leansville, Nc has joined ZLicense to save lives. Charles Vienn from Houston, Tx has joined ZLicense to save lives. Chad Cotton from Palm Desert, Ca has joined ZLicense to save lives. Deborah Fuller from Snellville, Ga has joined ZLicense to save lives. Ladonna Mccain from Villa Rica, Ga has joined ZLicense to save lives. Angenette Touch from South Orange Avenue, Nj has joined ZLicense to save lives. Jourdan Cox from Moreno Valley, Ca has joined ZLicense to save lives. Purisima Gayas from Paranaque, has joined ZLicense to save lives. Tolulope Sonuyi from Placentia, Ca has joined ZLicense to save lives. Franklin Peters from Houston, has joined ZLicense to save lives. Alyssa Duncan from Grove City, Ohio has joined ZLicense to save lives. Chanel L Brown from Winter Haven, Fl has joined ZLicense to save lives. Kenadi Smith from Ponchatoula, La has joined ZLicense to save lives. Jo-anne Kisiel from Pearland, Tx has joined ZLicense to save lives. Joseph Derry from Acworth, Ga has joined ZLicense to save lives. Coveleski Stewart from Leesburg, Ga has joined ZLicense to save lives. Anita Smith from Milwaukee, Wi has joined ZLicense to save lives. John Jallah (dr. Jay) from West Palm Beach, Florida (fl) has joined ZLicense to save lives. Brenair Slaton from Dallas, Tx has joined ZLicense to save lives. Darly Robert Cham from Montréal, Qc has joined ZLicense to save lives. Dr Joshua Smith from Los Angeles, Ca has joined ZLicense to save lives. Christopher Shaw from Detroit, Mi has joined ZLicense to save lives. Christine Blunt from Georgetown, Sc has joined ZLicense to save lives. Gale Berry from Dallas, Tx has joined ZLicense to save lives. Yolinda Belmont from Comstock Park, Mi has joined ZLicense to save lives. Nakia Turner from Ypsilanti, Mi has joined ZLicense to save lives. Christopher Greer from Fort Pierce, Fl has joined ZLicense to save lives. Cassandra Keel from Ft.lauderdale, Fl has joined ZLicense to save lives. Stacy Scott from Ypsilanti, Mi has joined ZLicense to save lives. Dwight Christian from Oakland Park, Fl has joined ZLicense to save lives. Mickell Stancil from Washington Dc, Dc has joined ZLicense to save lives. Voguelais Jones from Lauderdale Lakes, Fl has joined ZLicense to save lives. Charity Hill from Omaha, Nebraska has joined ZLicense to save lives. Anthony Gibbs from Greenville, Nc has joined ZLicense to save lives. Anthony Wilson from Dolton, Il has joined ZLicense to save lives. Pamela Carter from Jinan City, has joined ZLicense to save lives. Vincent Johnson from Stone Mountain , Ga has joined ZLicense to save lives. Doris Frankin from Katy, Tx has joined ZLicense to save lives. Sye Kidane from Atlanta, Ga has joined ZLicense to save lives. Alexias Singleton from Sumter, Sc has joined ZLicense to save lives. William Patterson from Laguna Niguel, Ca has joined ZLicense to save lives. Miguel Martinez from Des Moines, Wa has joined ZLicense to save lives. 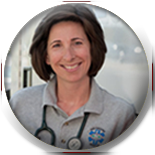 Sidney Trainer from Las Vegas, Nv has joined ZLicense to save lives. Julia Oliver from Durant, Ok has joined ZLicense to save lives. 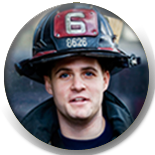 Robert Mcintyre from Jersey City, Nj has joined ZLicense to save lives. Barbie Damon from Tamarac, Fl has joined ZLicense to save lives. Mirian Frank Blanco D from Port Of Spain, has joined ZLicense to save lives. Kaya Houston from Bogalusa, La has joined ZLicense to save lives. John Emanuelle from Hattiesburg, Ms has joined ZLicense to save lives. Mary Burrell from Houston, Tx has joined ZLicense to save lives. Kourtney Ramirez from Hoptacong, Nj has joined ZLicense to save lives. Barbara West from Kenner, La has joined ZLicense to save lives. Raj Kapoor Singh from Faridabad, has joined ZLicense to save lives. Brandyn Nichol from Rockwood, On has joined ZLicense to save lives. Martin Kimaita from Nairobi, Kenya has joined ZLicense to save lives. Caley Foster from Lithonia, Ga has joined ZLicense to save lives. Sharon Farmer from Ft Pierce, Fl has joined ZLicense to save lives. Julian Mercedes from Bridgeport , Ct has joined ZLicense to save lives. Andrew Caracol from Mililani, Hi has joined ZLicense to save lives. Mia Lyfe from Riverdale, Ga has joined ZLicense to save lives. Bobby R Crawford from Palmdale, Ca has joined ZLicense to save lives. Astrid Lopez from Seattle, Wa has joined ZLicense to save lives. Jerome A Tillman from Manteca, Ca has joined ZLicense to save lives. Paul Hutchins from Longview, Tx has joined ZLicense to save lives. Jeremy Vernon from Corona, California has joined ZLicense to save lives. ZLicense Allows It To Be Available! The Idea Behind ZLicense Is Simple! form is difficult, on your worst day it's impossible! We have gathered the admission forms of several hospitals and created a single comprehensive secure online master file. Now people from all over the world can safely store and maintain the information needed by hospitals in advance. ZLicense ensures that you or your loved ones can receive fast, accurate medical care upon entering any hospital in the world! No need to broadcast your illness or condition to the world! A piece of paper is not secure and can be very difficult to locate when needed. Needed By First Responders To Provide The Best Care Possible! Firefighters have to make quick decisions. ZLicense provides them with the info they need! Doctors need correct accurate information to provide the best care! ZLicense can save lives! ZLicense helps Police to quickly reach a person's contacts with information! ZLicense increases the amount of immediate medical services EMTs can provide for people! Everyone Should Carry A ZLicense! It's so important to set up an emergency file for you and your family. the information maintained in your file. We keep your information safe using industry-leading 256-bit SSL encryption. important to us. We will never sell, rent, or share your information.